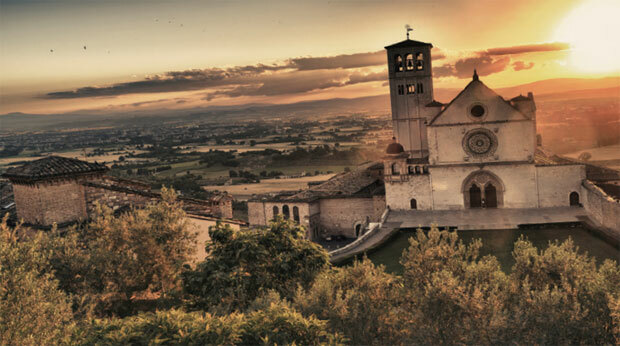 Without a coastline or bordering country, breathtaking Italian scenery surrounds you in Umbria. 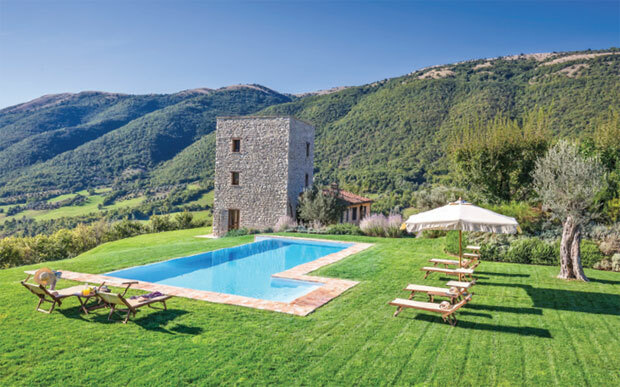 Arriving at Tenuta di Murlo, an ancient family-owned private country estate, in the dark of the night, I was desperate to wake up and discover my location. Stepping out of Villa Caminata – a luxurious five-bedroom villa surrounded by over 3,000 species of plant – I was stunned by the rolling green hills, invigorated by the crisp autumn air and comforted by the warm sun. My welcome to the estate the evening before was as impressive – I enjoyed a delicious heartwarming Italian meal at its restaurant Il Caldaro, headed up by chef Giovanna Iancu, perfectly complemented by quality local wine and a cosy setting created by a roaring log fire. Post-dinner, and after toasting the start of the trip with a glass of prosecco, I was whisked up to my villa, driven by a private chauffeur. Enchanting trees lined the roads we wound up and I was giddy with anticipation as we entered its electric gates. 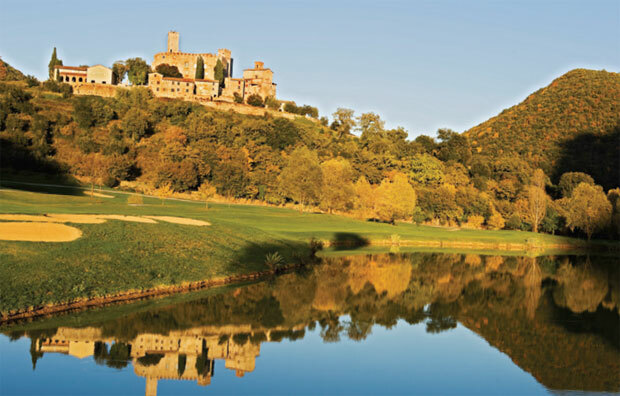 The estate is a maze of exclusive privatehire villas, nestled within its thousands of hectares of woods and olive groves, with two Medieval castles towering over the hills and valleys. So when I woke up in daylight the following morning, it was a delight to discover the traditional-yet-21st-century retreat in which I was staying. Mixing authentic tiled floors and an exposed roof in earthy hues with Laura Ashley-esque furnishings, a flat-screen TV and Wi-Fi, it's not hard to feel at home. Only it was a little more luxurious than normal life; a personal chef whipped up a delicious fresh breakfast in the villa kitchen, which was beautifully displayed on the large, chic dining room table. A cute one-bedroom cottage for couples sits alongside the villa with a veranda – a beautiful spot to enjoy a pre-breakfast hot drink or evening aperitif, and an ideal place for sunrise or sunset yoga. Though I could happily spend the day enjoying some 'me time' in the villa – it's so peaceful – and exploring the surrounding nature trails, the nearby historical town of Assisi was calling. A UNESCO World Heritage Site, known for being the birthplace of St Francis and its spectacular Medieval architecture, my first port of call was the Basilica of San Francesco. Adorned with historic art, I admired the beauty of the walls and ceilings, particularly the frescoes – there doesn't appear to be a spot uncovered – and visited the Tomb of St Francis. You can re-live the moment you walked down the aisle on your wedding day time and time again in this stunning town as at the end of nearly every authentic Italian alley, there's a church to enter and appreciate, each with its own distinctive charm. If you have time to venture to The Rocca Maggiore, a fortress, head to the top of the tower for uninterrupted views of Assisi and the Umbrian Valley. Another must-visit while I was in the area, and perfectly timed with my stay, was the annual Festival of Wood in Montone, a walled Medieval village. As we arrived a choir was singing in the square, a gentleman was selling truffles, the local delicacy, and the atmosphere was uplifting and joyful. This was just the start of what was to come; on every street locals opened their doors to sell their produce, offering generous tastings of salami, cheese, chestnuts, olive oil and truffles, while local musicians, including a marching band, performed around the village, creating a real community vibe. On every turn, the town boasted amazing views, with restaurants making the most of these vantage points to provide special dining spots. A beautiful sunny weekend at the end of October made this a gorgeously romantic destination. Rich reds, burnt oranges and rustic yellows brightened the natural surroundings while the chill in the air made you want to sup coffee or mulled wine and snuggle up with your beau. 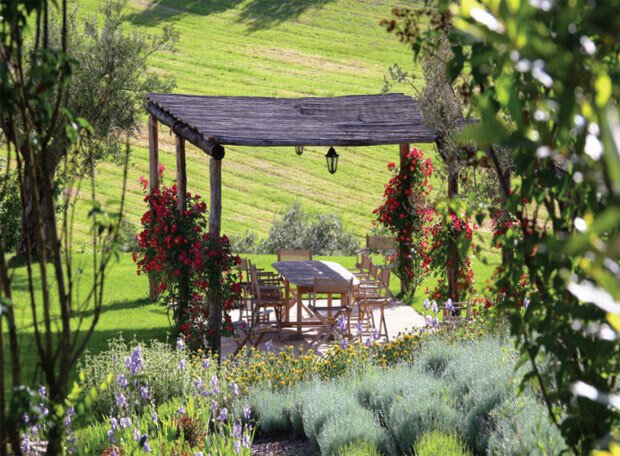 Umbria is, without doubt, a honeymoon hotspot in every season. Treat yourselves to a meal at Le Tre Vaselle Resort's restaurant, Le Melograne (www.3vaselle.it). Situated between the regional capital of Perugia and Assisi, in Torgiana, it's Italian fare to die for. I'd suggest asking for help with choosing your dishes and wine, as they certainly know their stuff and, in my experience, their recommendations were spot on. If the crispy poached egg with pecorino cheese fondue and black truffle is on the menu, don't opt for anything else! Schedule a tour and tasting session at Lungarotti Winery (www.lungarotti.it). With its vineyards literally on its doorstep, in one of Italy's smallest viticulture zones, and the production, ageing and packaging process all done on site too, there's so much to see and learn. Finish this by trying its range of fine wines for yourself – I can assure you you'll be unable to resist buying a bottle or two to enjoy back at the villa. For me, it was all about Aurente, the 2010 chardonnay. Pay a visit to local cashmere producers such as Rocco Ragni in Colle Umberto, the Lamberto Losani outlet in Magione and Italian fashion designer Brunello Cucinelli in Solomeo, the vibrant village he converted dedicated to his creativity. They're all well worth popping in to for a luxury memento of your first trip as Mr and Mrs – you may even snap up a bargain. The villas aren't just wonderful bases for exploring the surrounding area; you could have a truly magical honeymoon without leaving the site. Surrounded by gorgeous greenery, lush woodland and wild nature, there are five large villas and three apartments on offer, but best suited to newlyweds is the estate's one-bedroom cottage and its honeymoon suite, which has its own tub bath with castle views. Each of the antique farmsteads and Medieval ruins has been individually, beautifully restored to provide secluded, elegant accommodation with unspoilt views of the stunning countryside, and they really don't disappoint. Not to mention their own private pool, landscaped gardens, concierge and a daily housekeeping service. All villas can be hired to suit your needs, whether you'd like to opt for self-catering or dream of having a chef and butler at your beck and call. There's a whole host of activities and excursions to enjoy. Whether you want to kick back and indulge with an in-villa spa treatment, play a round of golf on the estate's 18-hole championship course, go mountain biking or foraging, there's something to suit everyone and the staff at the estate will help you plan whatever tickles your fancy. Why not partake in a cookery class? A chef comes to your villa laden with ingredients and you can try your hand at pasta making as well as other Italian dishes. 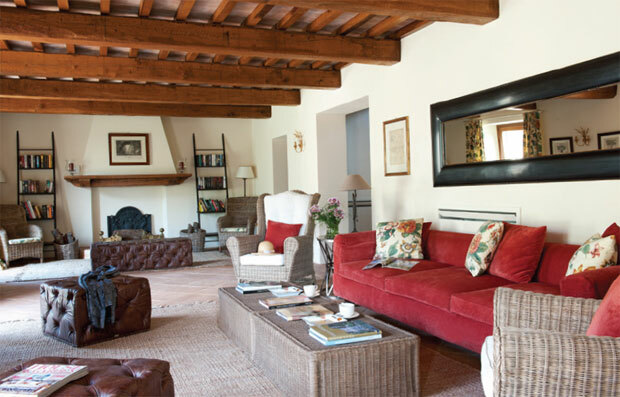 A two-and-a-half hour flight from the UK, Umbria is perfectly positioned between Rome and Florence, meaning it's the ideal place to stop and stay if you like the idea of heading off on a mini-moon road trip of Italy with your husband. 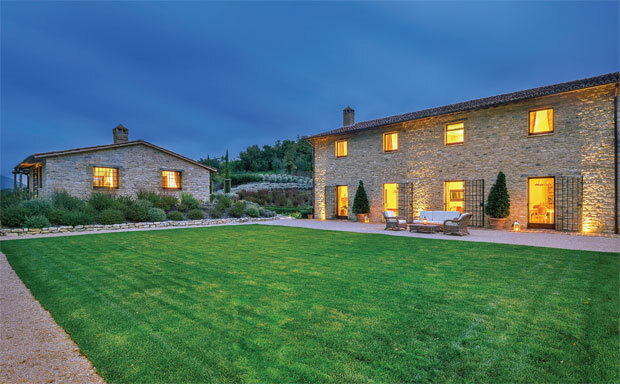 The nearest airport is Perugia – only a 20-minute drive from the estate – or alternatively you could fly into Rome and explore the famous city of love before travelling for approximately two hours to Umbria. VILLAS FROM €2,900, APARTMENTS FROM €1,400 AND COTTAGES FROM €1,200 PER WEEK.